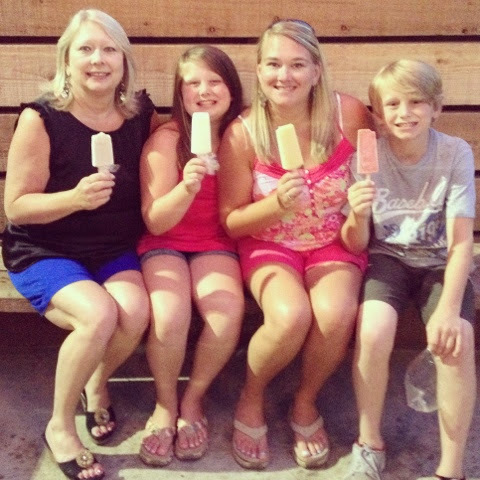 GoGo and Grandaddy were leaving to go out of town for the holiday weekend so we met them for dinner and then introduced them to our lastest addiction Steel City Pops!!! Our city has a big fireworks show every year called The Big Kaboom! 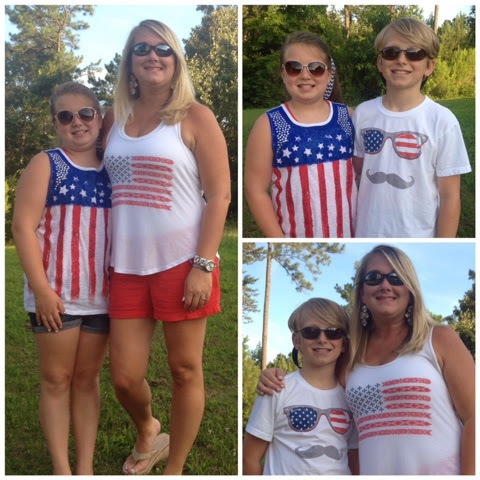 We met up with friends and watched the fireworks! Daddy was out and about being the icecream man so it was just the kids and I so we took pictures of each other the best we could before we left! It's hard to be the tall one when you have short photographers! LOL! 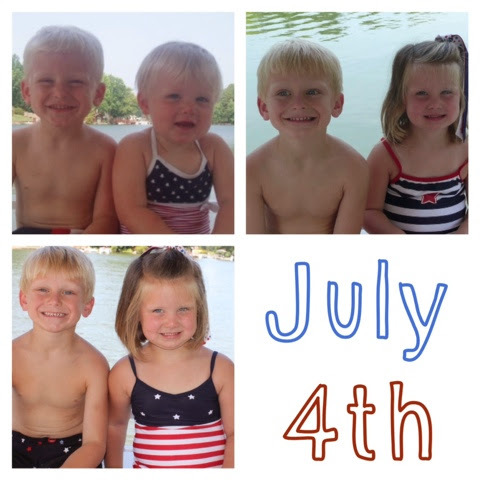 After the fireworks the kids and I headed to the lake for the holiday weekend! 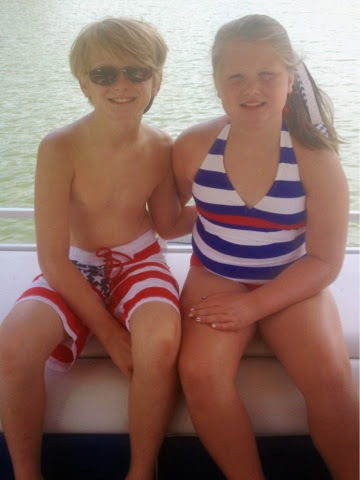 We took our traditional 4th of July bathing suit on the back of the boat picture that we take every year. You can see a few from years past below!!! 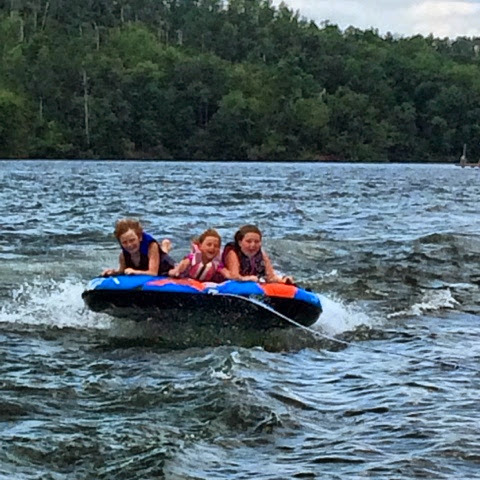 We braved the lake waters with the holiday crowd for a little tubbing! All these crazy people on the lake on the holidays make me a nervous wreck. So we stayed at the pier most of the weekend because the water was rough and there were crazy drivers everywhere!!! It was fun for the kids & We survived! 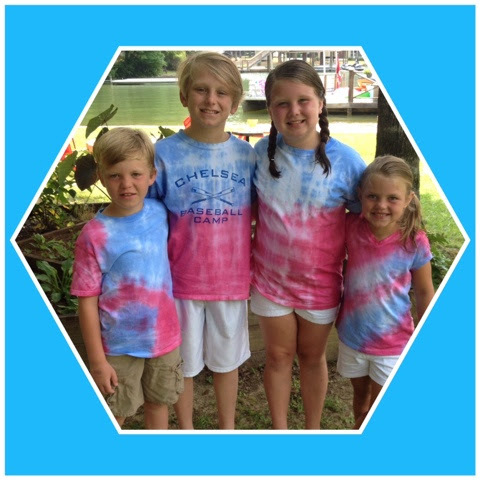 My sister in law brought stuff to tye dye shirts with the kids so Saturday night we tye dyed shirts! I will say I was so surprised at how well they turned out I have not had good luck in the past with cute tye dyed shirts but these turned out so cute! 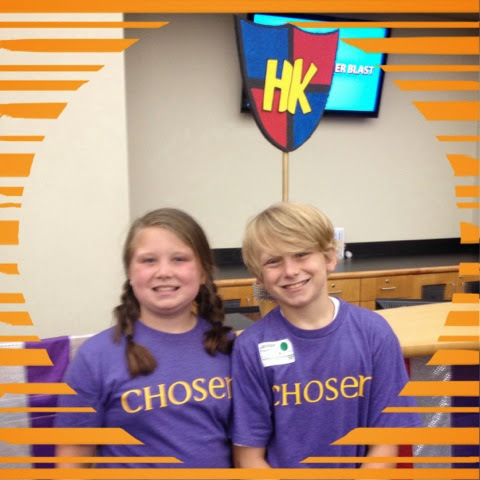 Jackson and Brylee went VBS at The Church of the Highlands today! 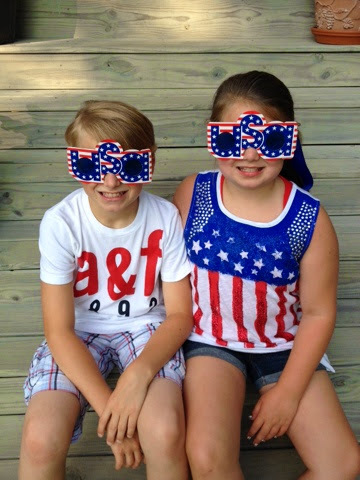 We are continuing our "tour of the VBS's" this summer! LOL! 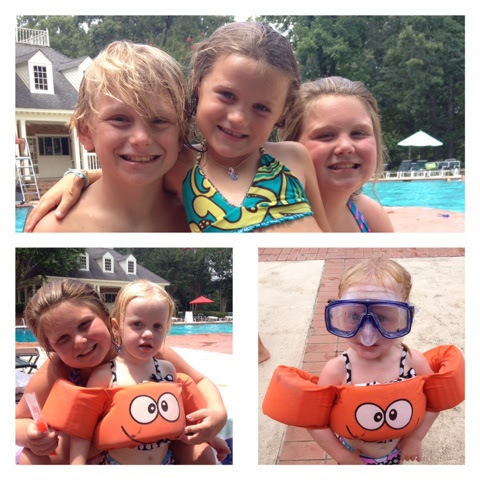 Tori is doing VBS this week at Highlands too so Brooke and I took the kids swimming after VBS! It was a fun day with sweet friends!!! Our beach countdown is officially on... One week and counting we head to the beach with these chicks!! !